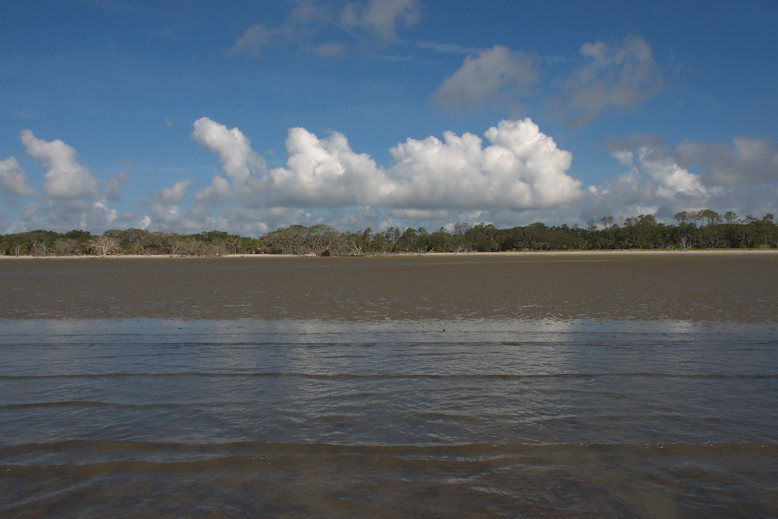 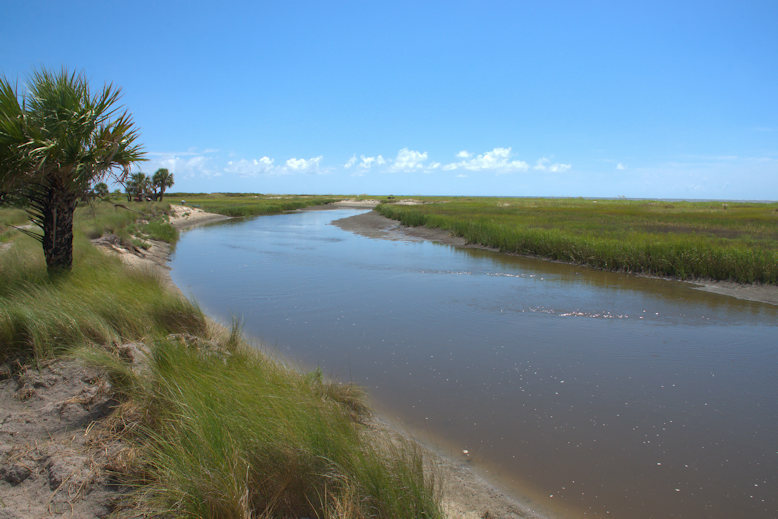 Big Slough is the creek that separates the mainland of Ossabaw Island from South End and Middle Beaches. 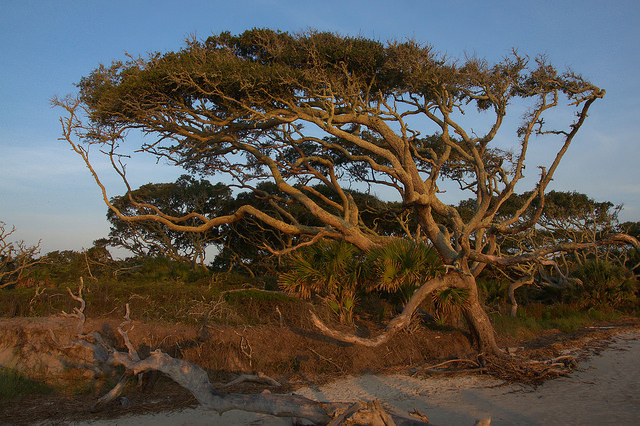 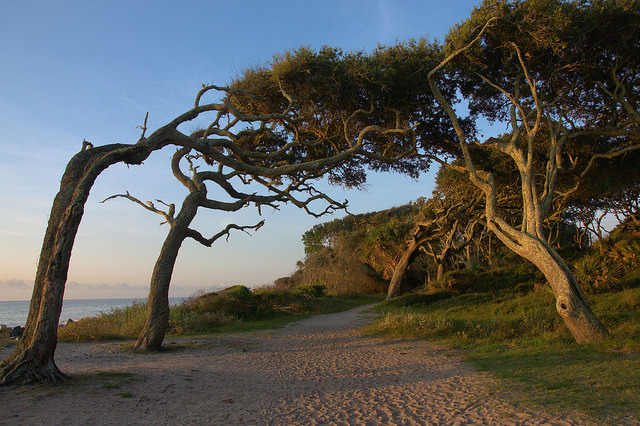 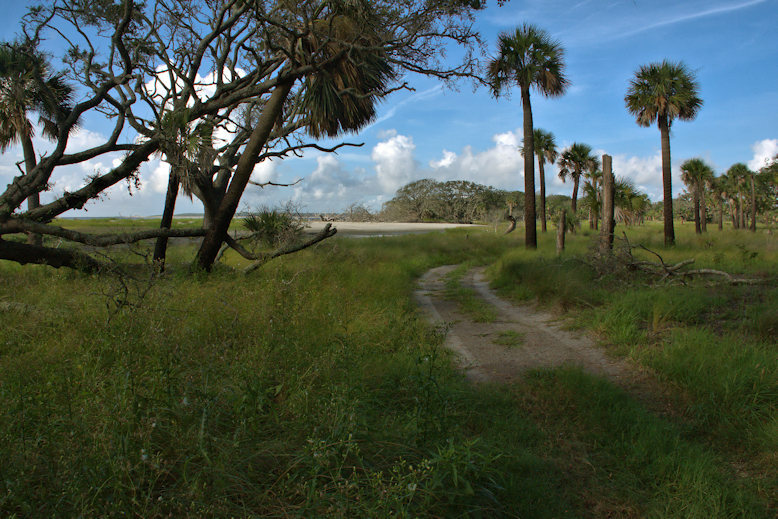 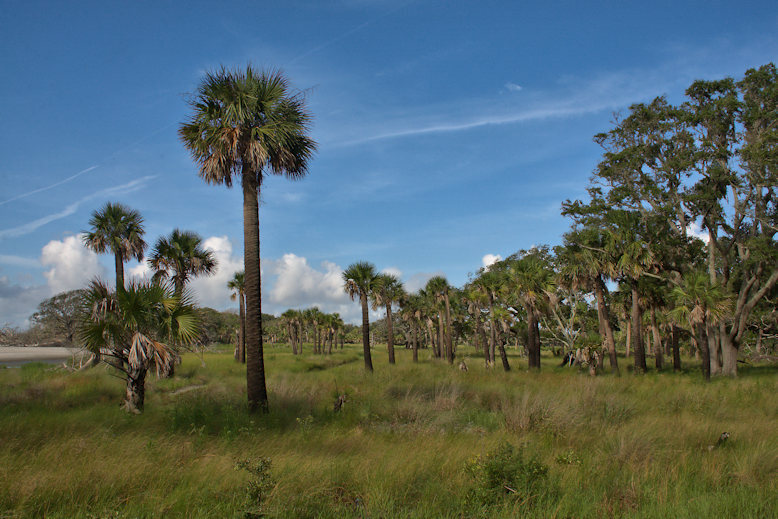 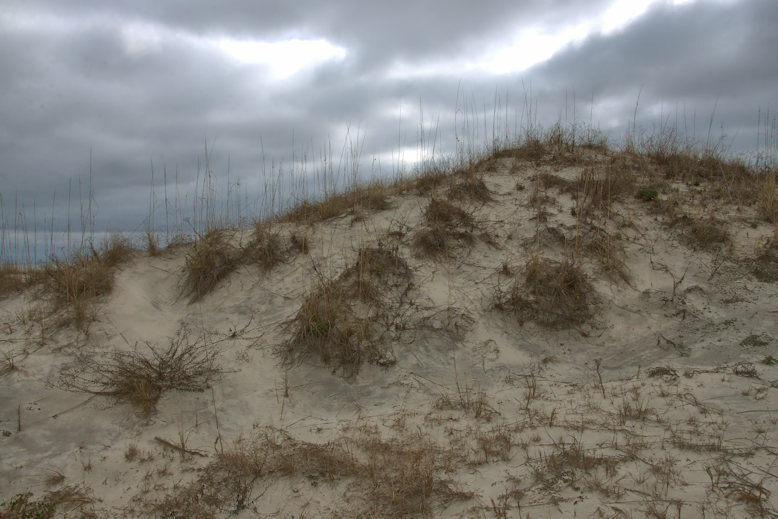 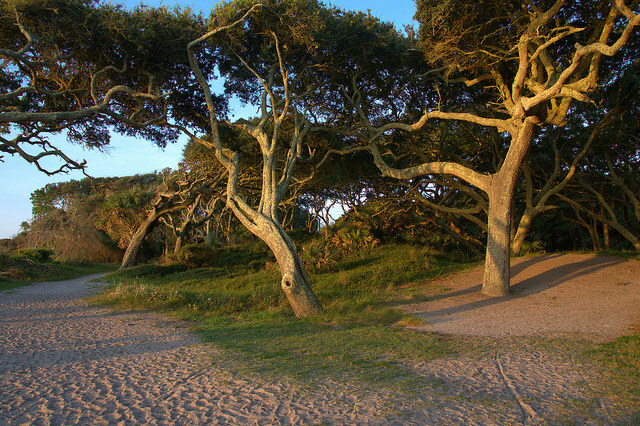 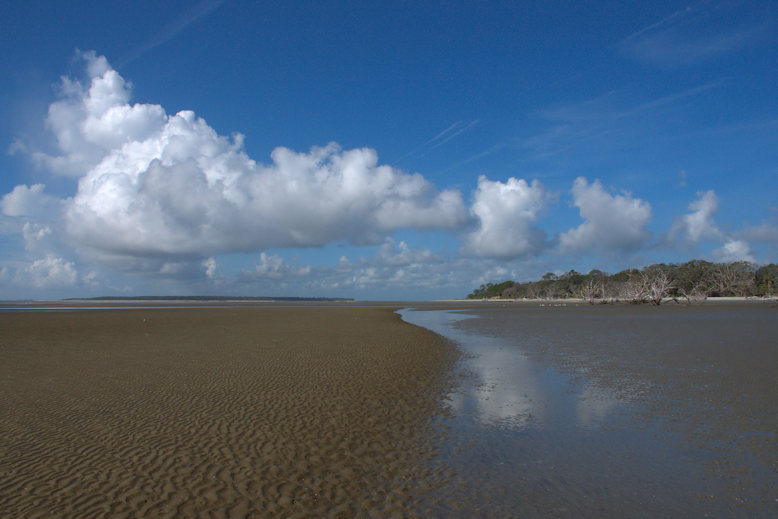 Boneyard beaches are an emblematic feature of the Sea Islands, with examples in Florida, Georgia, and South Carolina. 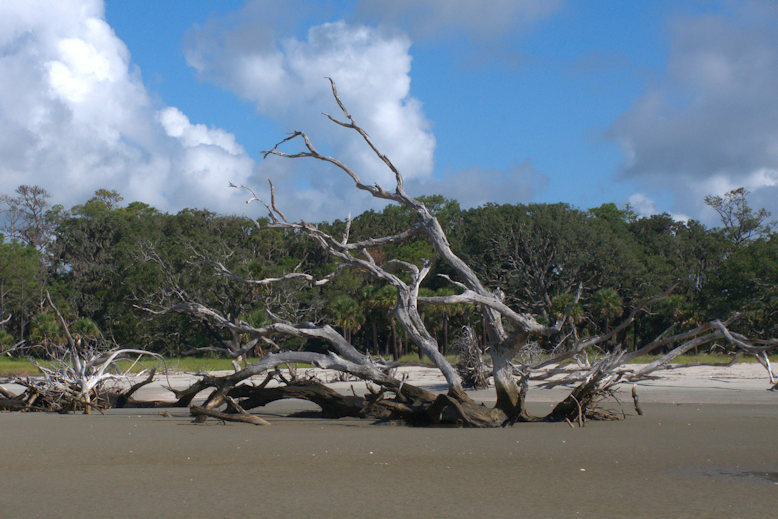 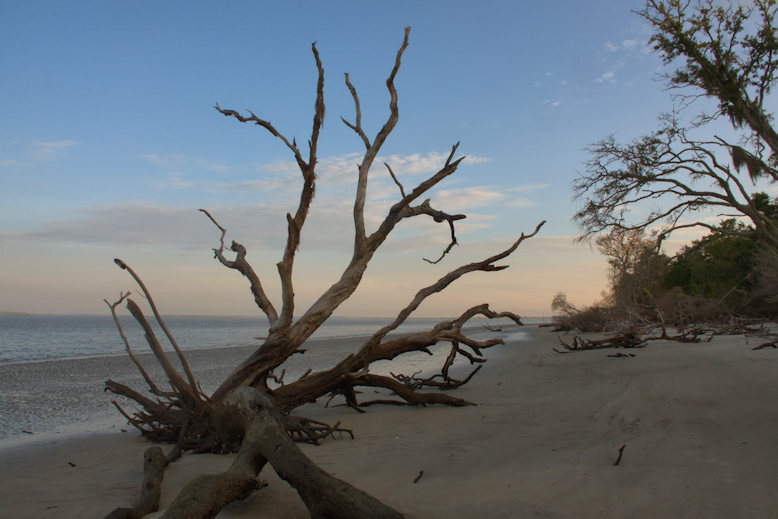 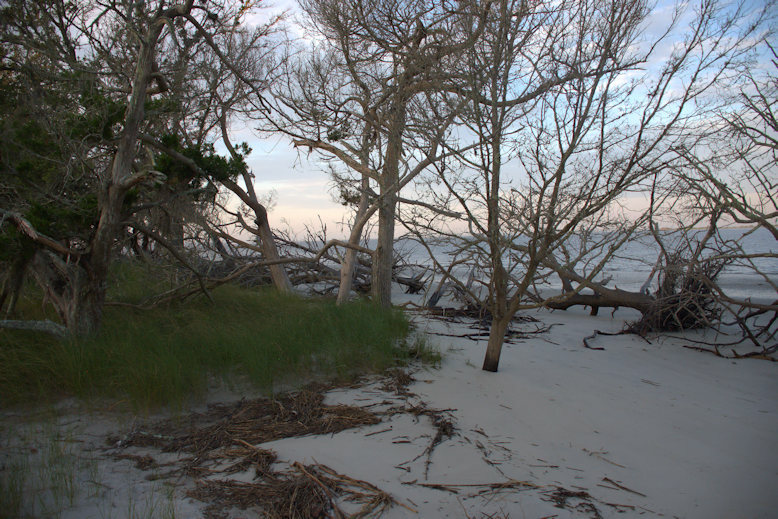 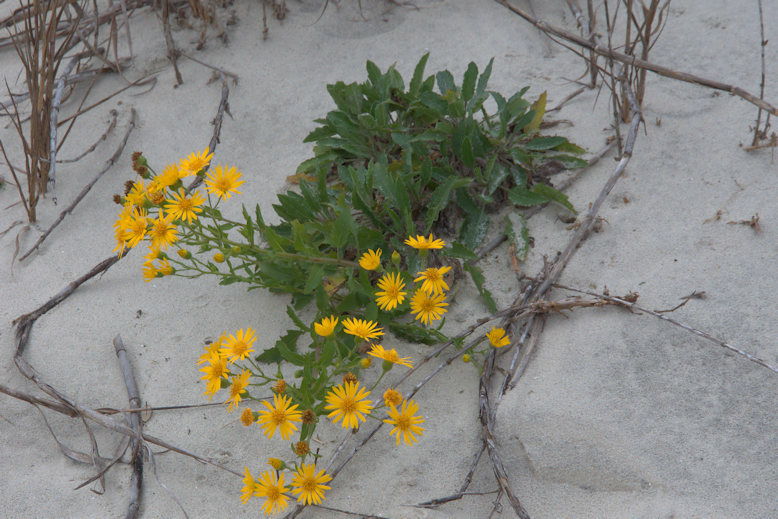 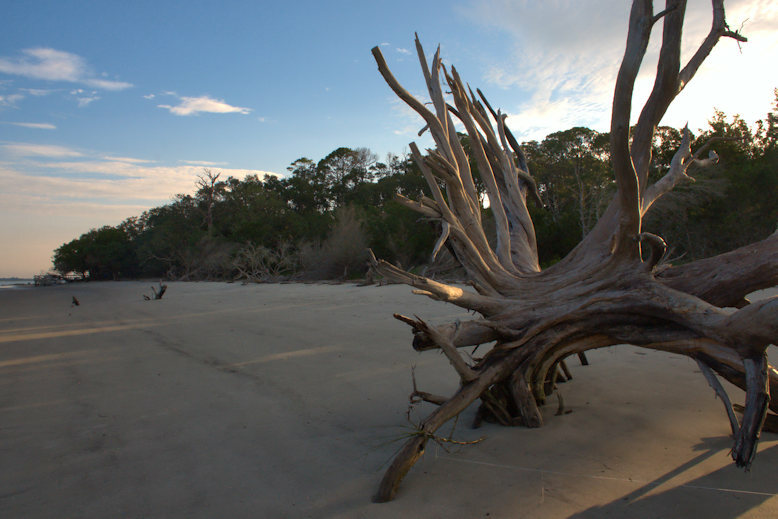 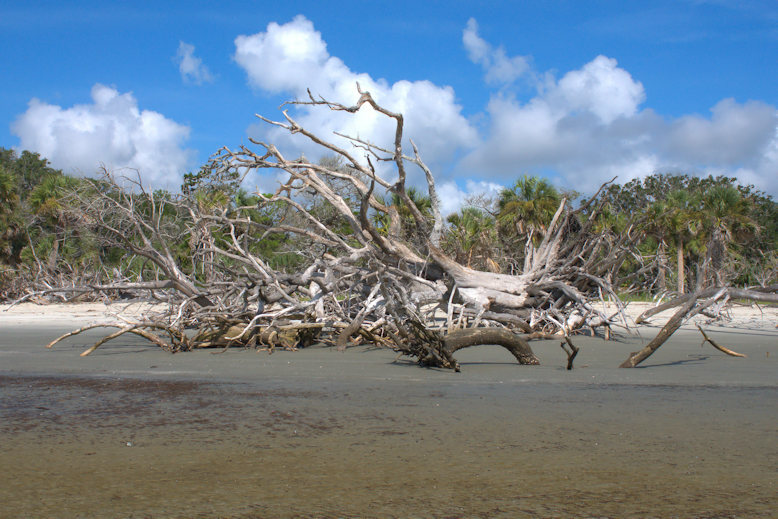 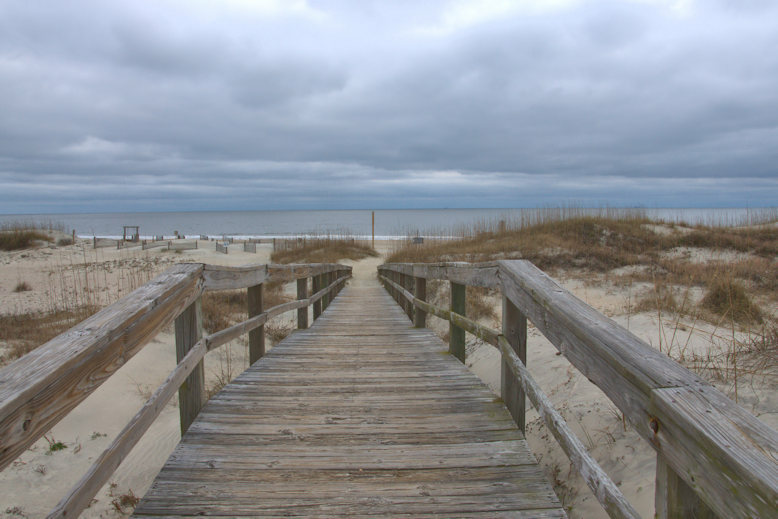 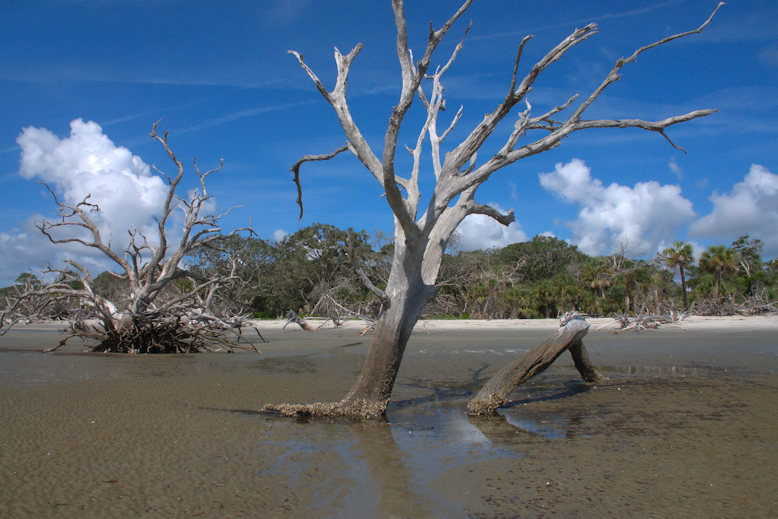 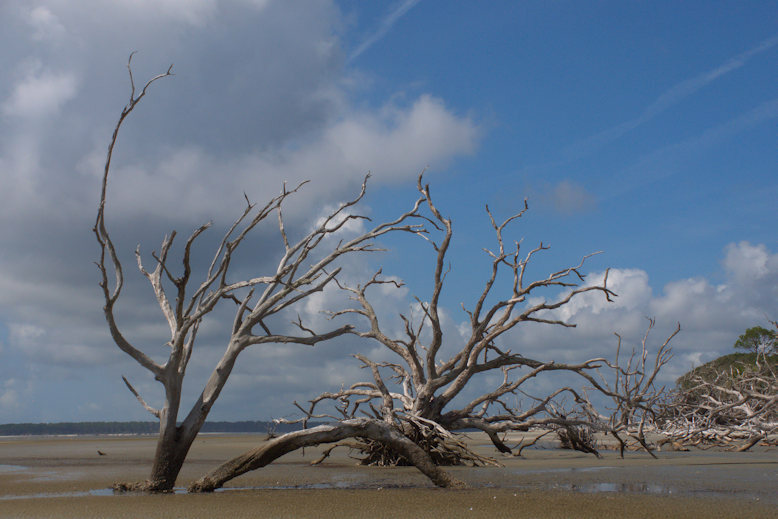 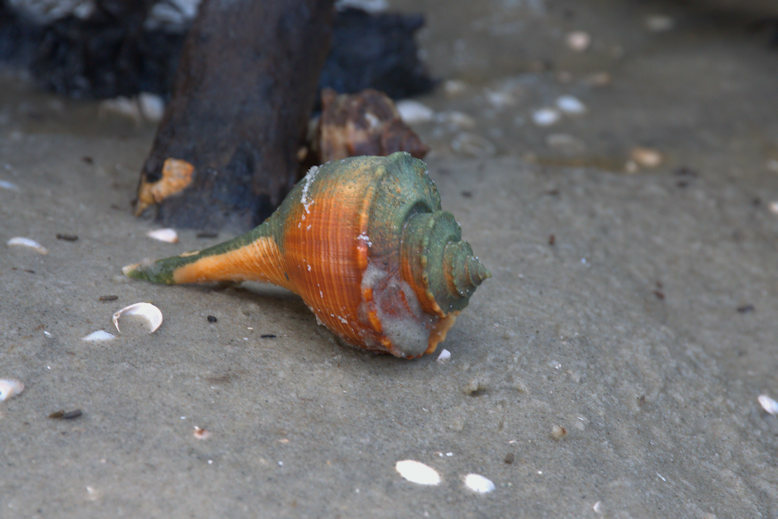 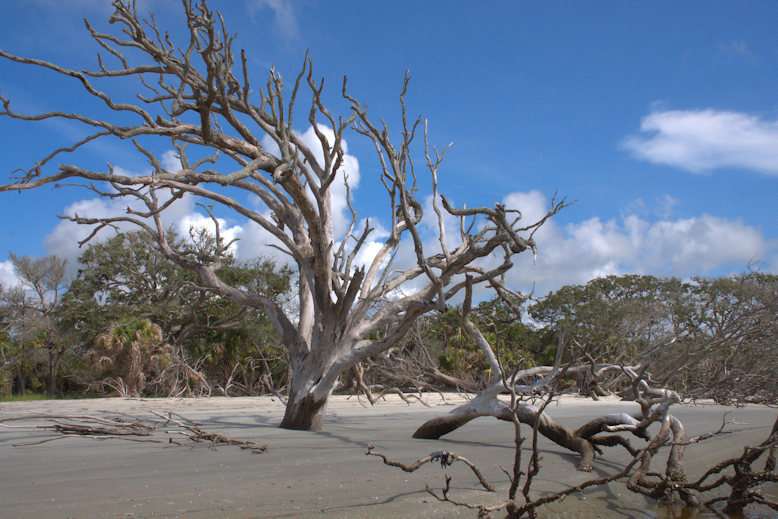 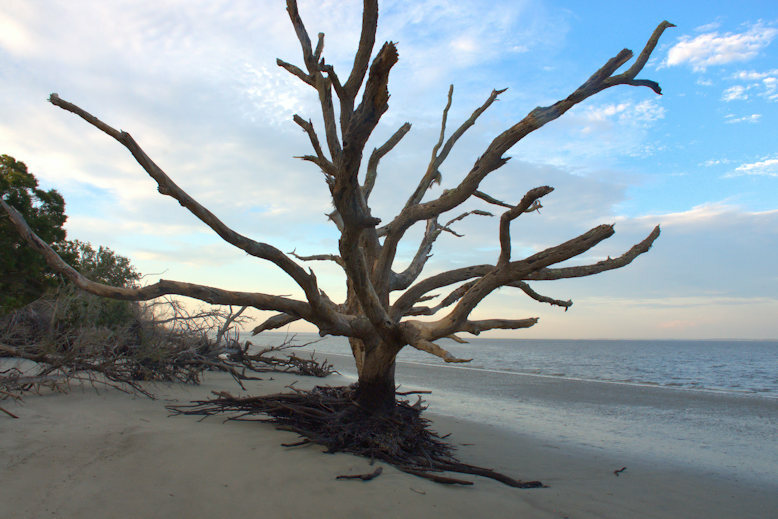 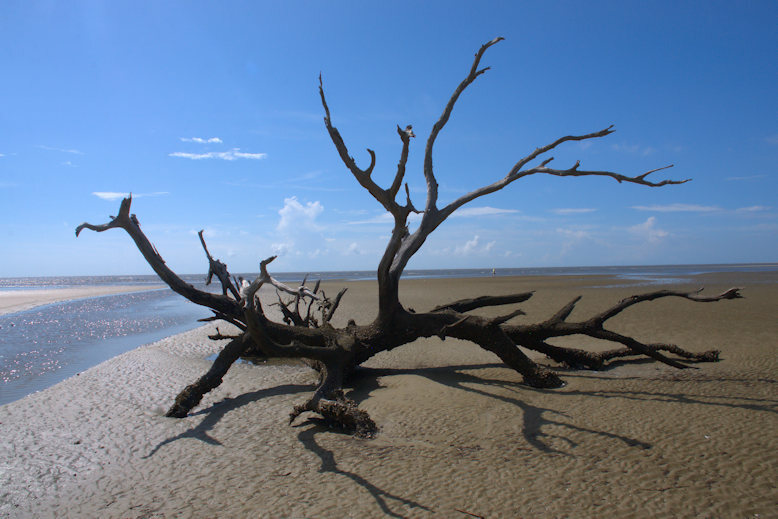 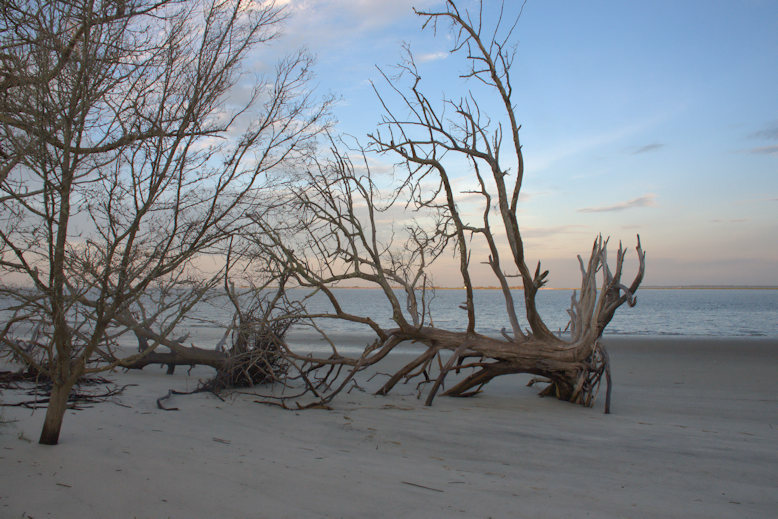 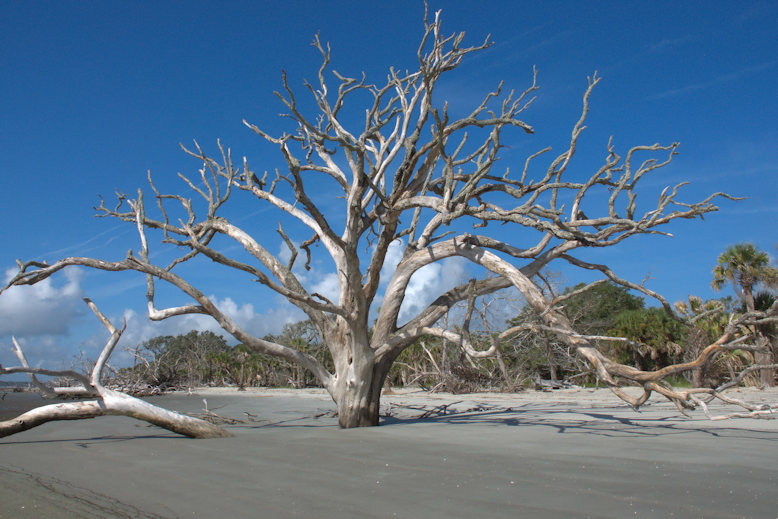 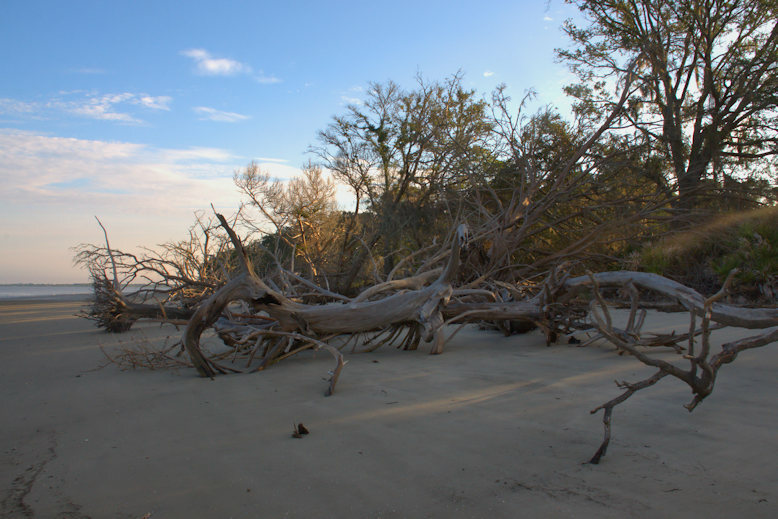 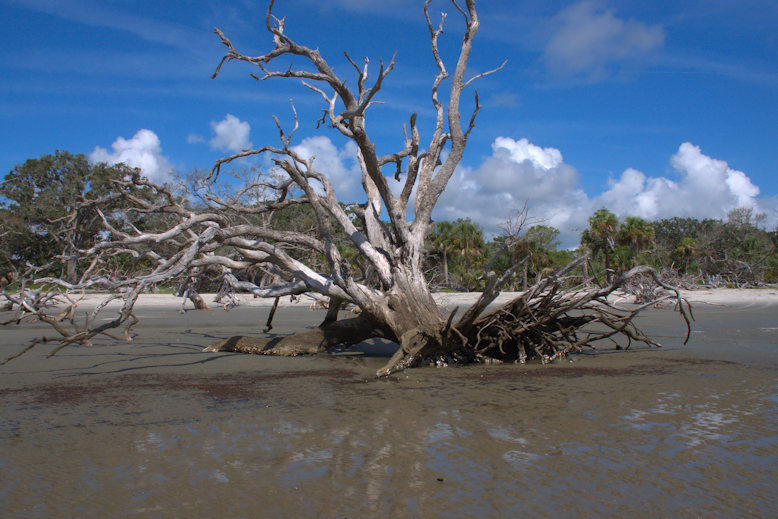 Ossabaw’s South End boneyard is much larger but less well-known than Jekyll’s Driftwood Beach. 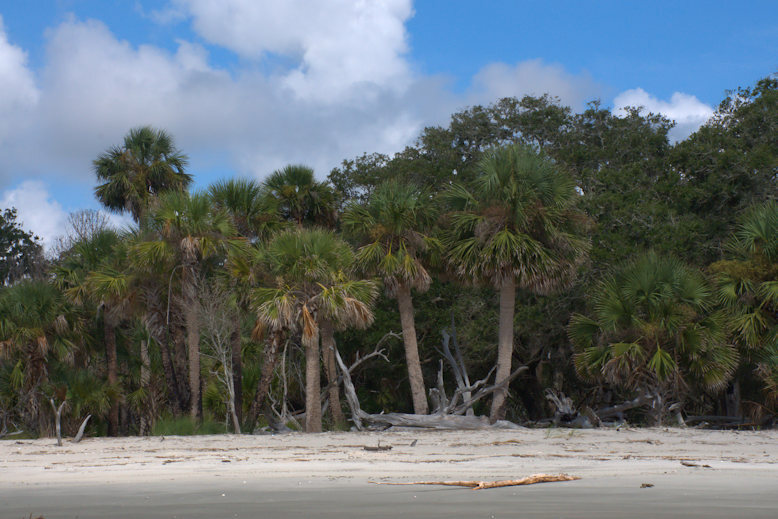 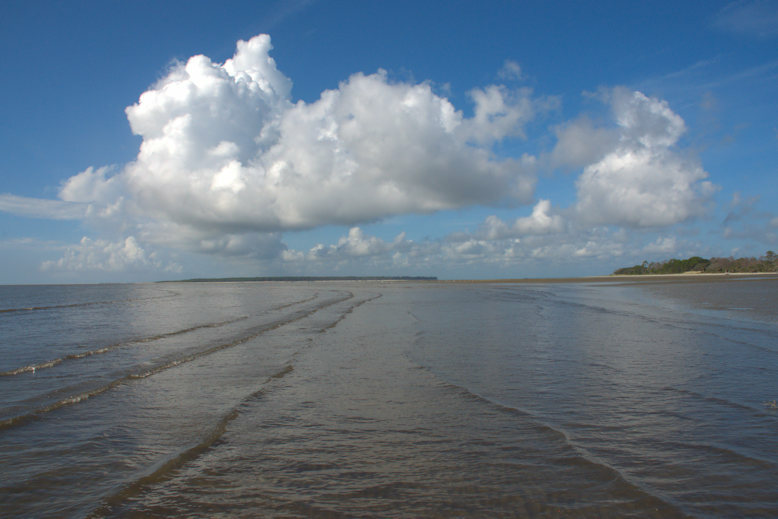 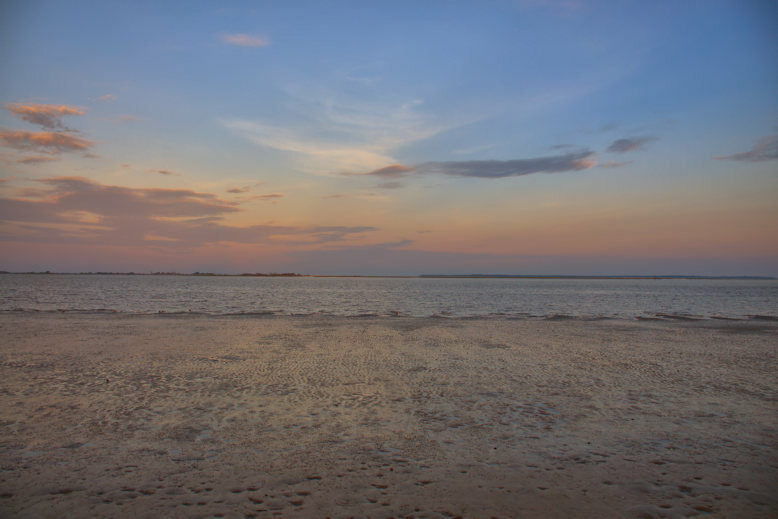 Ossabaw Island’s South End Beach is a 12-mile, hour-long ride away from any semblance of civilization but well worth the difficulty of getting there. 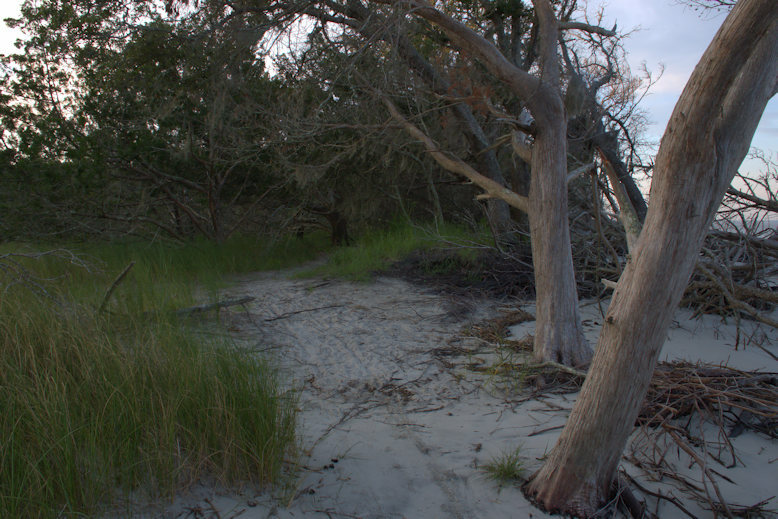 From the Main Road we veered onto Hell Hole Road, passing through some of the most ecologically significant mature maritime forests in Georgia. 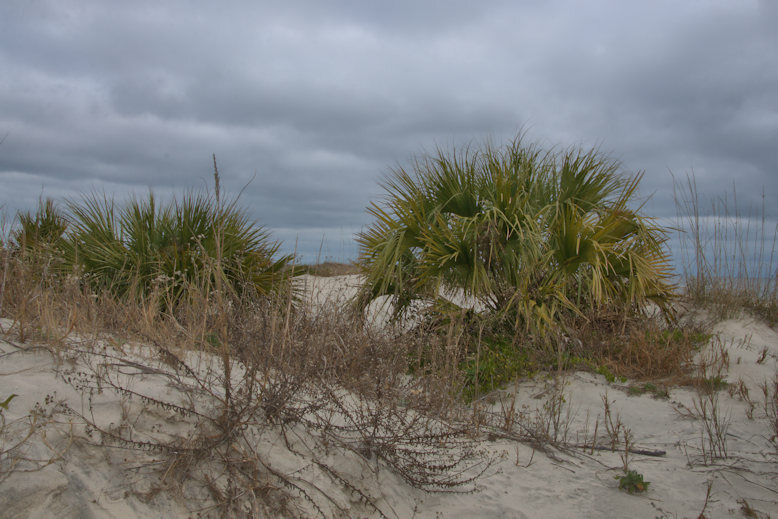 When at last the beach was in sight we followed a short path to the dunes, punctuated by a stand of Cabbage-palms (Sabal palmetto) more reminiscent of Florida than Georgia. 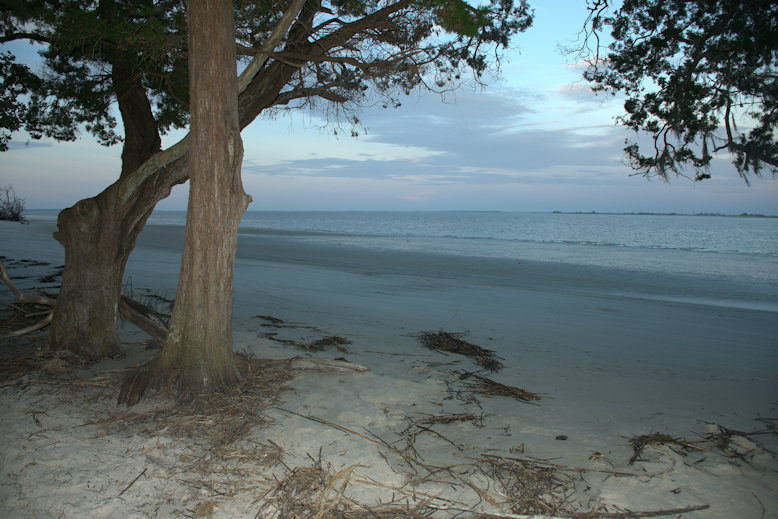 Here are a few views of this pristine place. 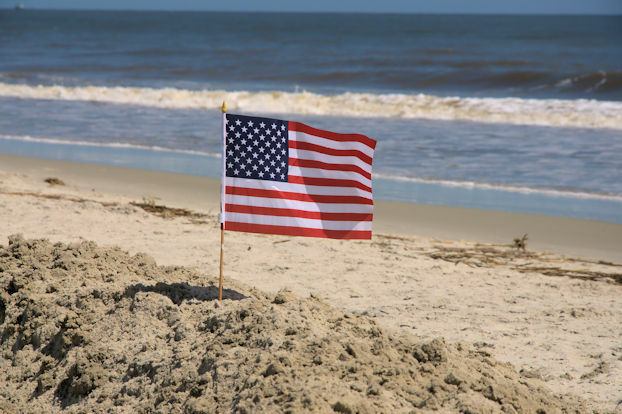 Patriotic displays are the rule on Coast Guard Beach this weekend. 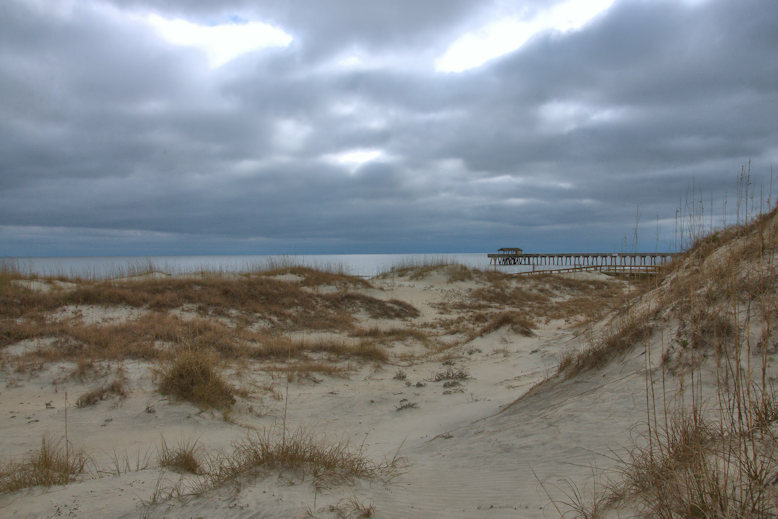 Memorial Day weekend is the traditional kickoff for the summer season and huge crowds descend on all of Georgia’s beaches to celebrate and remember those who made the ultimate sacrifice in protecting our freedoms.